To celebrate a historic moment in Aston Martin Racing history, Aston Martin Cambridge has commissioned 24 exclusive DBS Superleggeras – one for every hour of the gruelling Le Mans race in which AM scored a 1-2 finish back in 1959. 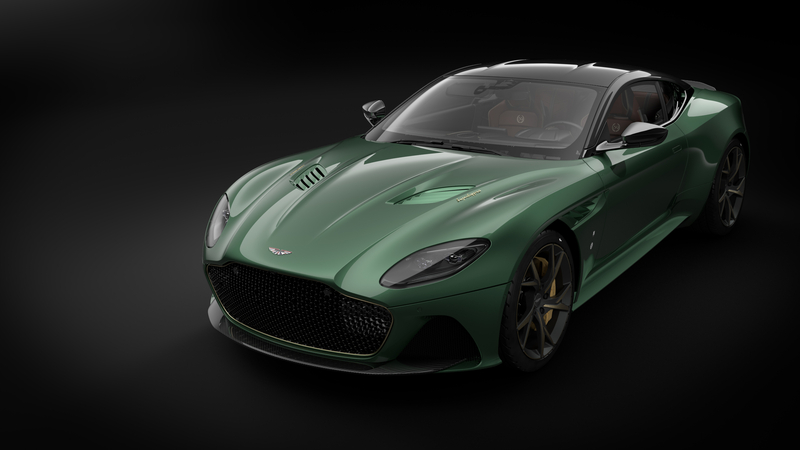 Say hello to the DBS 59. 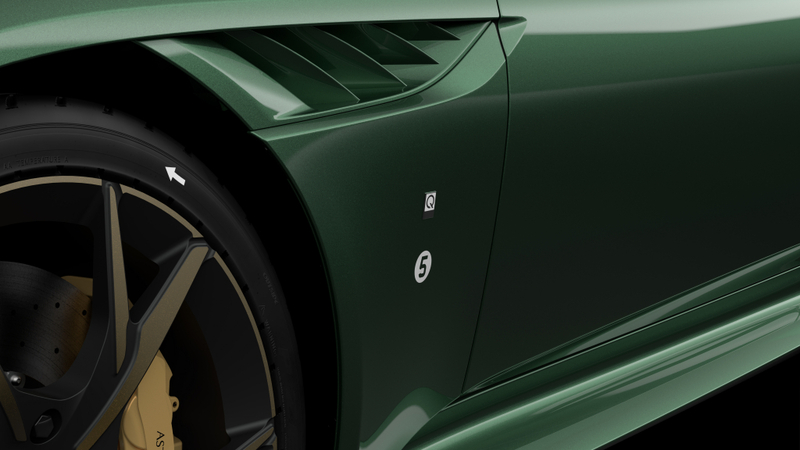 All of the limited examples will be finished in the classic Aston Martin Racing Green paintwork, while the extensive use of gloss finish Carbon Fibre further increases the bespoke appeal of this machine. Inside, cars are covered in Obsidian Black and Chestnut Tan leather, together with fabric inspired by the DBR1 seat material used to trim the ‘DBS 59’s’ seat backs and door inserts. 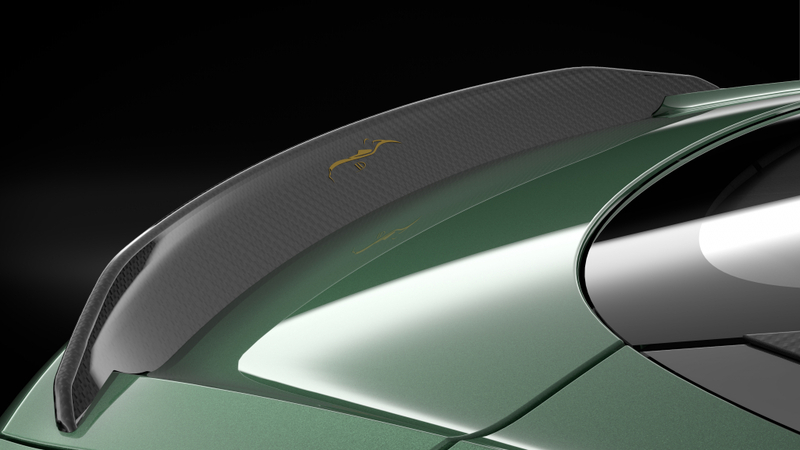 There are also flashes of contrasting bronze detailing throughout the cabin, including the front grille surround, ‘Superleggera’ bonnet script, rear Aston Martin script and Q Fender Badge amongst the items painted. Lucky customers will also receive bespoke Saddle Leather Helmet Pods in the rear compartment to hold special ‘DBS 59’ crash helmets, race suits and gloves, and a bespoke ‘DBS 59’ logo embroidered in the seat headrests. To complete that vintage look, customers can part with vast sums of cash and bag period blue race overalls complete with Aston Martin and ‘DBS 59’ logos; replica string-backed racing gloves modelled on those worn by 1959 Le Mans-winning driver Caroll Shelby; replica 1959 race helmet; bespoke 2-piece luggage set to match interior trim and a bespoke car cover in Aston Martin Racing Green. If you needed reminding of the 2018 DBS Superleggera’s prowess, it’s quite simply the fastest and most powerful series production model in Aston Martin’s range, with the 5.2-litre twin-turbo V12 engine pumping out 715bhp. Top speed is slated at 211mph, while the 0-62mph sprint takes just 3,4 seconds thanks to the glut of power on tap. Alas, there is no word on price for these ace limited edition versions but if you’re interested you can place an order by contacting Simon Lane at Jardine Motors.